​This 4-page report presents information on Motif 3 during the period A.D. 575-650. As can be seen from the table below, 20 Basketmaker III sites from this period contained a total of 72 bowl sherds and/or bowls (whole or partially reconstructed) depicting Motif 3 in the 45 and 90 degree forms. 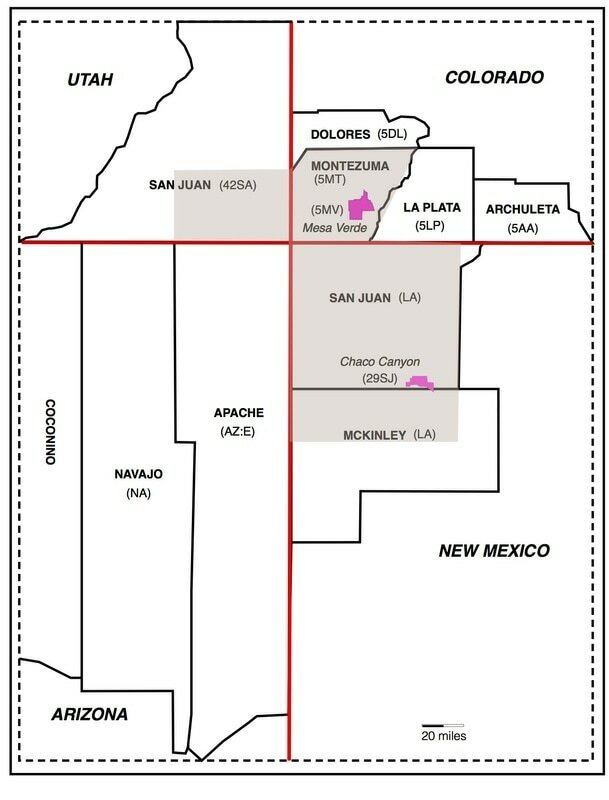 These sites were located in four counties of three states in the Four Corners Region, as shown shaded in brown on the map below.